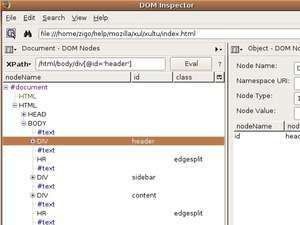 The XPather is a simple Firefox extension that integrates both with the browser and its DOMInspector. Thus, it's very lightweight and cross-platform. It is valuable mainly as a web/XML-app development and hacking tool. XPather evaluates your XPaths and inspects the results and extracts the content. Version 1.4.5 is a freeware program which does not have restrictions and it's free so it doesn't cost anything. For security reasons, you should also check out the XPather download at LO4D.com which includes virus and malware tests. Additional screenshots of this application download may be available, too.